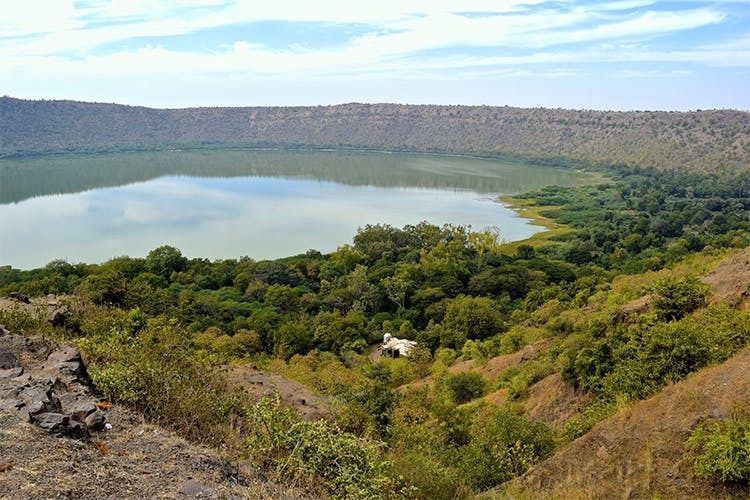 Organised by 365hops, a two-day exploration trip to Lonar Crater is being organised this long weekend. Priced at INR 4,410 per person, it includes your travel, one night stay at a hotel, breakfast and more. You’ll be doing the Parikrama trek that leads to the crater. Trekking enthusiasts, astronomy enthusiasts and people who want to spend this long weekend differently. This wonder was created by a meteor strike about 52,000 years ago. Located in Budhana district, it’s a spot for sightseeing, bird-watching and photography. The crater, which was created due to a meteor strike in the Pleistocene Epoch, is the only known hyper velocity impact crater in basaltic rock anywhere on earth. Surrounded by a series of low hills, the views from near the lake are breathtaking. If you have not been able to secure a booking for the long weekend, this is something that may fit your plans. The link to this trek is here. But there are other options too, here and here.